There was one boy who said that when he listens to Nobody Knows, it feels as if he scored in the World Cup. Do you think about how your songs will influence people when you write them? - That's exactly what I want to bring out in my music, to convey a feeling that the song is about. That's the whole point of music, to share. When you manage to convey that feeling, then you have done it right. But that particular song, Nobody Knows, Darin wasn't at all satisfied with when he had written it. Although the songwriter partner Tony Nilsson realized the song's potential, Darin hesitated. But with every listening, it grew and after having been written about something, it was good enough to be the first single on the new album "Exit". - When we finally released Nobody Knows, It had turned for me, then I liked a lot! Then it didn't worked out right away, it took six months before it started playing on the radio and reached number one. But lucky it was good that I didn't give up the song from the beginning, I gave it time. What is most important for you when you compose? - Everyone thinks differently when they write, but I go with a lot of emotion. That's where it all starts. Everything must be done with the right feeling, that's what creates a good song. For example, if there will be a piano in the music, then it must be the right feeling. Same thing with the song, that you sing it on the right way. Of course it's important how you build up the structure, but the bottom line of the songs is still based on the feeling, for me anyway. It has the highest priority. There are other songwriters, that I myself look up to, who think in a different way. To put together different song parts in the right way, for example. And it's also that "here comes the bridge, here comes the verse". But I'm still going with a lot of instinct, "now it feels right, it should go up here, it should go down here". You can say, more emotion than mathematics. It was in that way, when I went to music school too. I always liked the hear-learning more than the music theory. What gives you inspiration and energy to evolve? - Of course, I get inspired by other people's music. I listen to modern classical music like Einaudi and film music. A favorite right now is the soundtrack to The Village by James Newton Howard. Then I jump wildly between everything from Bob Marley to Sade, OneRepublic and José González. But it's the feeling I have when I'm in the studio which determines how my own music sounds. How I feel when I am there, if I have fun. When I feel good in the studio and then with those I work with, so it usually gets very good songs. Then of course, the more you write the more you will develop. You seem to be overflowing with ideas and songs. Do you ever get writing cramps? - It happens once in a while, that I get stuck when it comes to the lyrics, but never when it comes to the melodies. I always have melodies in my head, they are always there. On my latest album Exit I focused a lot on the lyrics, to go into them and making them more detailed. It's in text writing that I feel I have developed the most since the last album Lovekiller. Does the songwriter Darin get too little of attention in the shadow of the artist? - When I started writing songs eleven years ago, I didn't see even myself as a singer and songwriter. Musically, it has happened a lot since then, and lately I have started to get more recognition for the songwriting. There are more people who know who I am and what I can do musically. Among other things, thanks to my participation in the tv-program Så Mycket Bättre, I got to talk about that I write my own songs. Especially in this genre, perhaps there are many who think that you get the songs finished from someone and you aren't so involved as a performer. But for me it's just the opposite. I'm very involved and have been there ever since I broke through. I've always known what I wanted to do. Which colleagues have meant mostly for your composing? - I grew up with Max Martin's songs, and he is a person who I have looked up to very much and been inspired by. It was amazing to work with him on the first and third album. I have also learned a lot, for example from Tony Nilsson, RedOne and Jörgen Elofsson. On my latest album Exit, it was very exciting to collaborate with, among others, Jim Beanz and Sacha Skarbeck. I really like to be inspired and to learn from others. I remember when Jörgen Elofsson wrote "Who's That Girl". I sat in the living room while he wrote clear the end of the chorus and he told me what he thought about the structure, while he wrote. It's those occasions I learned a lot from. It has also been incredibly instructive for me from the very first beginning of my career, get sit next to the producers and see how they work in the reality. How is it to write for other artists? - Of course it's a lot more challenging to write for others than for myself. I'm trying, for example to customize the artist's range and voice, trying to feel for what might highlight the voice in a good way. So far I haven't had time to write for others as much as I'd like, but it's something which I would like to do more in the future. Do you know how many songs you have registered at Stim? - No, not exactly. How many is it? What? 122 songs! For real?! That is a lot. But I have written songs for a long time, ever since I was 14 years old, so it's obviously that they had time to become a lot. - The thing I look forward to the most right now are the concerts in Stockholm, Gothenburg and Malmö. It has been a long time since I was out there and performed. I'm incredibly happy to continue working with music, but I am not taking nothing for granted when it comes to the future. I am not leaning back, I just keep working as hard as I've always done. Lyrics and music: Sonja Shabo, Darin Zanyar, Andreas Klingberg, Kristjan Dogar. 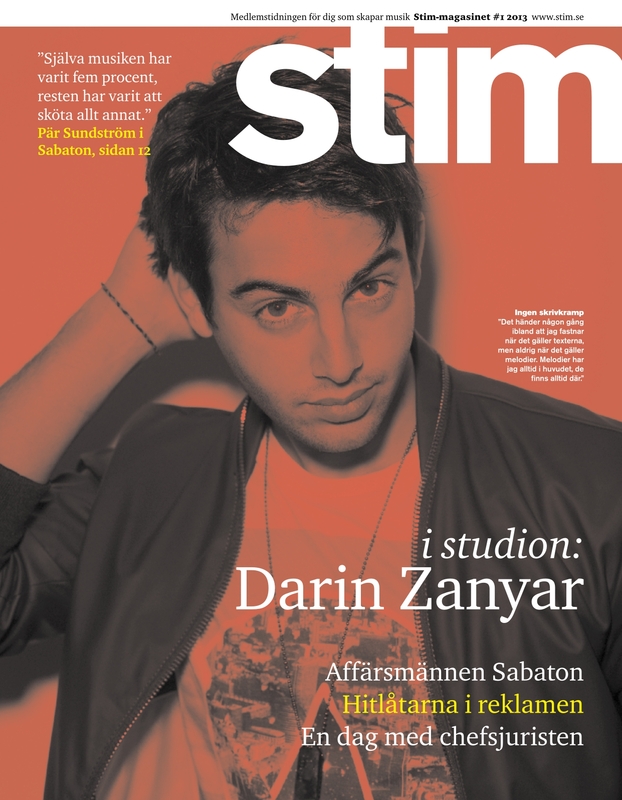 Lyrics and music: Darin Zanyar and Arnthor Birgisson. 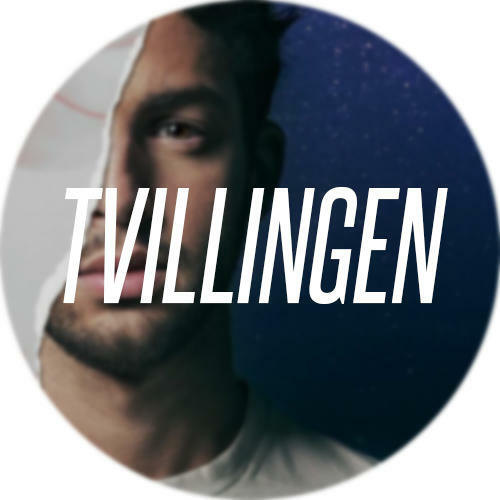 Lyrics and music: Darin Zanyar, Tony Nilsson, Niklas Rune, Bilal Hajji. 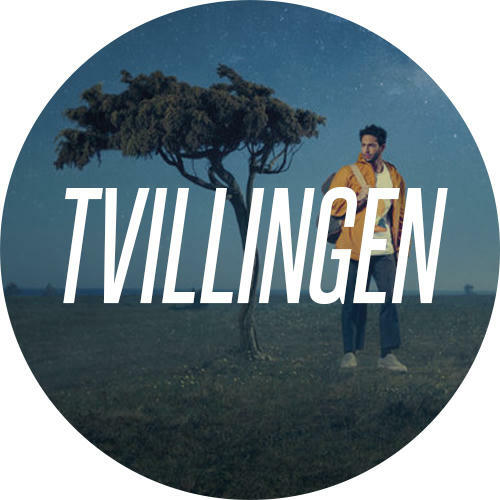 Lyrics and music: Darin Zanyar, Tony Nilsson. Lyrics and music: RedOne, Darin Zanyar, Bilal Hajji. Lyrics and music: Novel Jannusi, Nadir Khayat, Bilal Hajji, Darin Zanyar. 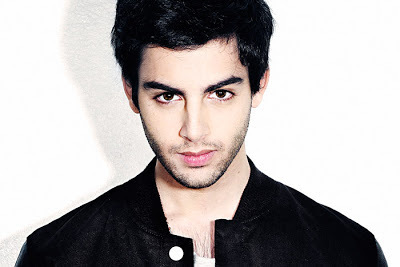 The song Want Ya, that Darin was involved in the writing of, has been released in a Hebrew version called Elaikh, by the Israeli artist Daniel Zilberstein. The single hit Step Up, and several other songs on his self-titled album from 2005, Darin wrote along with super producer RedOne. On his album Break The News from 2006, Darin composed along with the internationally successful hit-maker Ishi Mughal. The song Top Secret, which Darin wrote with, among others, Norwegian David Eriksen, was released in Japan in 2007 by the group W-inds. Love Struck that Darin wrote were released as a single by the American boy band V Factory in 2009. 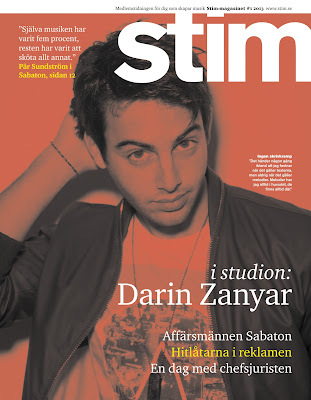 Darin wrote, along with Arnthor Birgisson, All This Way that was the winning song in Idol in 2011. - As a songwriter, it has been incredibly important to me to have Stim. Especially since I hadn't a music publishing 2006 - 2012. Over the years, it was Stim who helped me with that part, along with management and record label. Stim has always been a great support. - It has to be, Apologize by OneRepublic (lyrics and music: Ryan Tedder). I will never forget when I heard it the first time. I was completely cracked, that good was it. I felt immediately that I wished I had written it. - It was 2005, at that time I was still living with my parents. I remember I had just woken up and turned on the radio. It was NRJ and they would introduce the Week's smash hit. Then they said... "and Darin - Money For Nothing" and played the chorus. It felt unreal. 1. I Don’t Trust Myself – John Mayer. Lyrics and music: John Mayer. 2. By Your Side – Sade. Lyrics and music: Sade Adu, Paul Denman, Stuart Matthewman, Andrew Hale. 3. Dream On – Aerosmith. Lyrics and music: Steven Tyler. 4. I Follow Rivers – Lykke Li. 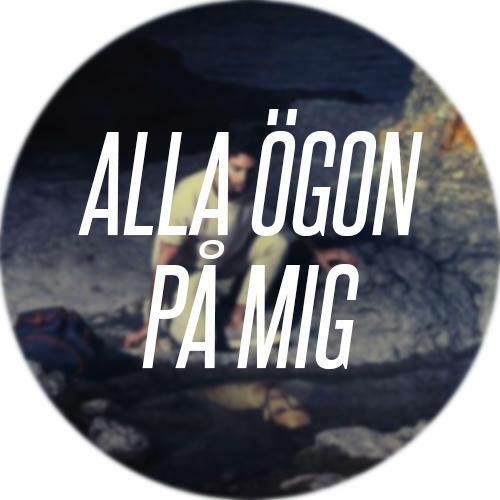 Lyrics and music: Lykke Li, Björn Yttling, Rick Nowels. 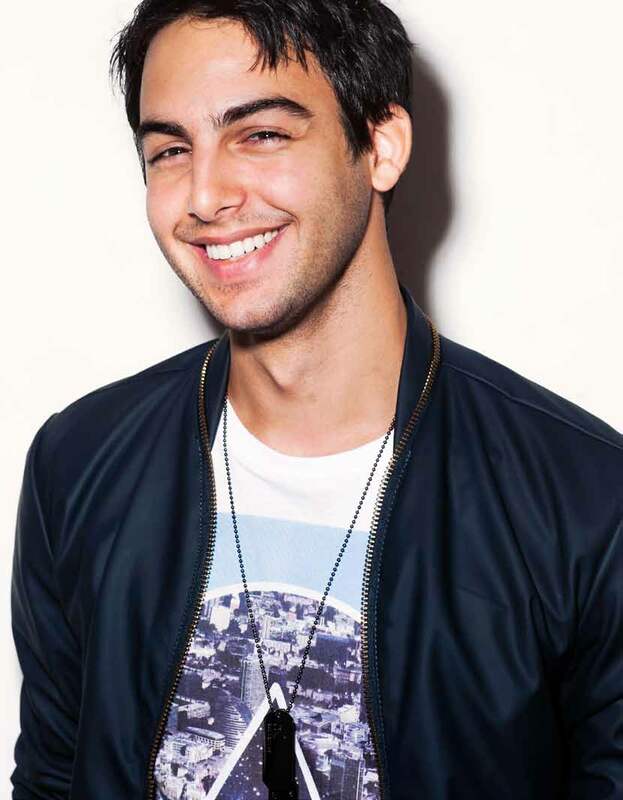 Career: Darin has been writing songs since he was 14 years old. He broke through as a performer in the first season of Idol in 2004 when he was 17. He has released six albums, which two of them have sold gold and two platinum. The latest, Exit, was released in January this year. 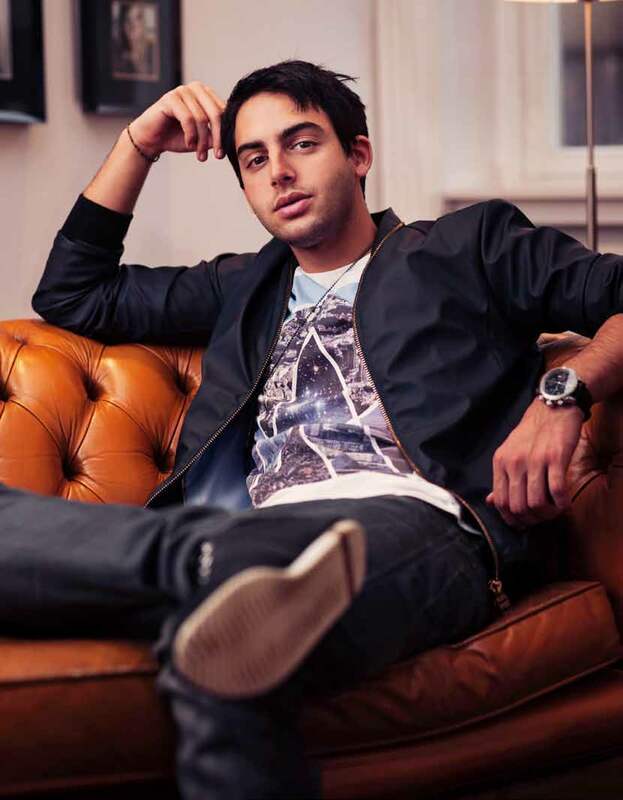 Darin has worked with songwriters and producers such as Max Martin, RedOne, Jörgen Elofsson, Tony Nilsson, Arnthor Birgisson, Quiz & Larossi, Paddy Dalton, Bilal Hajji, Billy Mann, Jim Beanz and Sacha Skarbeck. He also wrote songs for artists such as Shayne Ward, V Factory, Sasha Lee, David Lindgren and Amanda Fondell. Current: Tour in Stockholm April 17, Gothenburg April 18 and Malmö April 19.